Before I was pregnant, lactation cookies were mystical unicorns. I assumed if I wanted to breastfeed, all I’d have to do was sit back, relax, and milk would just flow. I was wrong! I had my baby and quickly learned that milk doesn’t always flow like you want or need. There are many reasons women struggle with low milk supply and unfortunately, I was one of those women. 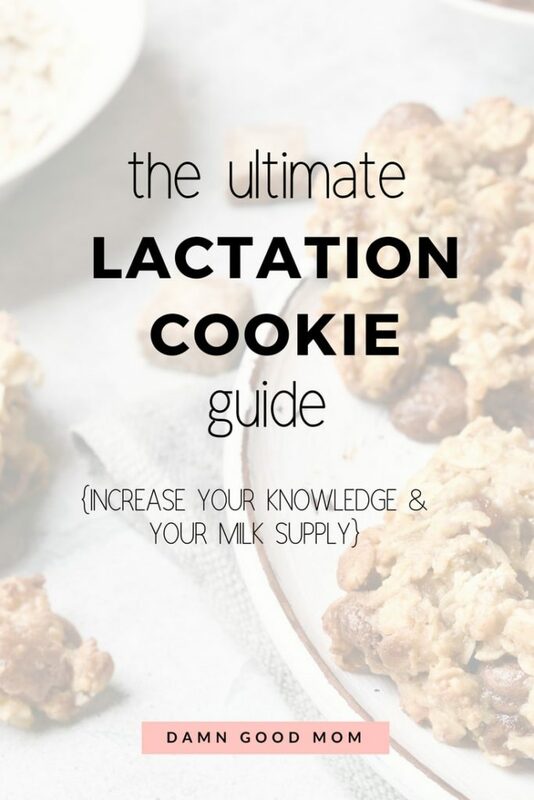 I struggled with low milk supply and only learned the benefits of lactation cookies after frantic (yes…frantic, I was full of hormones and frustrated) online searches that often began with ‘increase my milk supply‘. If you are a breastfeeding mama trying to increase your milk supply with lactation cookies, you are in the right place to learn more. This post contains affiliate links, please see the Disclosures page for more information. Here is what you what to know. Lactation cookies are cookies with ingredients believed to be galactagogues (substances that increase milk supply). WHAT INGREDIENTS ARE IN LACTATION COOKIES? 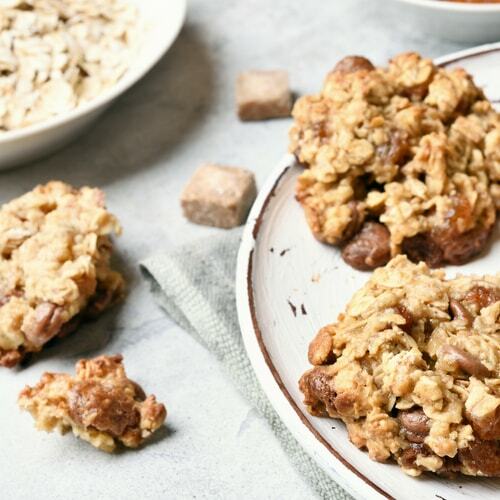 The superstar milk maker ingredients in lactation cookies that may help increase milk supply include oats, flaxseeds, brewers yeast, and wheat germ. Oats are a great whole grain source of vitamins, minerals, and antioxidants. They are known for being high in fiber and iron powerhouses. The fiber content can help with high cholesterol and iron is needed to prevent anemia, both conditions are capable of reducing milk supply. Flaxseeds contain lignans (phytoestrogens), these compounds are naturally found in plants and may increase your milk supply. Flaxseeds are also a source of omega-3 fatty acids that support brain development in babies and provide fiber. Brewer’s yeast is a milk boosting supplement that comes in a powder or tablet. It contains B vitamins, iron, protein, chromium, and selenium. It may also help you with energy and increased mood but do your research because Brewer’s yeast can lower blood-sugar, influence yeast infections in some women, or cause gas or colic in your baby. Wheat germ has many beneficial substances but the zinc is the reason it is believed to assist with milk production. Although wheat germ has tons of benefits if you are gluten-intolerant, you may want to skip this ingredient in your cookies. *Talk with your medical provider or a lactation consultant to learn more about how the ingredients in lactation cookies can affect you personally. If you are comfortable with the ingredients and sold on the idea of eating cookies to boost your milk supply, keep reading for some easy lactation cookie recipes. Making your own lactation cookies isn’t hard and there are tons of recipes online. Sometimes, finding time to bake isn’t easy but these recipes are quick and easy and can help you control your intake of refined sugars and gluten that may be in store-bought products. If you are using flaxseeds remember that whole flaxseed can’t be digested. The seeds need to be ground to get the benefits. Store your ground flaxseeds in the freezer to prevent oxidization and lose of nutrients. Brewer’s yeast is not the same as nutritional yeast or baker’s yeast. You can make your cookies gluten-free. I’ve added a few recipes below, but a simple Pinterest search or Google search of lactation cookies will get you tons more. If baking isn’t your thing, no problem. There are places for you to buy lactation cookies and lactation cookie mix. Before you buy, here is what you want to know. When buying any product look at the ingredient list. I used to toss things in my grocery basket without a look at ingredients or expiration dates. It was a mistake. You should know what you are buying and more importantly what you are eating. Here are a few things you should be aware of when looking at lactation cookie labels. Ingredients are listed from greatest amount to the lowest amount. Flaxseeds should be ground or ‘Flax Seed Meal’ ‘Flaxseed Meal’ to get nutrients. Sodium content. Some flavors of the same or different brands may have more sodium than others. This may matter to you if you are concerned about salt in your diet. Serving size and servings per container. I’m not paying $20 for 2 cookies. Expiration date. I’m so guilty of buying an expired product Eek. The point is to read your labels and if you need help understanding what it all means, this is a good source. WHERE CAN YOU BUY LACTATION COOKIES OR LACTATION COOKIE MIX? You can try your local grocery stores or you can shop online. If you don’t have Amazon Prime yet, you can try it out now for free for 30-days. It’s been one of my best postpartum investments and I love that any of these cookies or baby products can be at my door in less than 2-days with free shipping! DO LACTATION COOKIES REALLY INCREASE MILK SUPPLY? The ingredients in the lactation cookies can increase your milk supply; however, you may also consider talking with a lactation consultant. According to KellyMom many women incorrectly believe they have a low milk supply when they really don’t. Milk production is influenced by supply and demand and changes as your baby grows. Sometimes, those changes are not fully understood by breastfeeding mamas and get interpreted incorrectly. 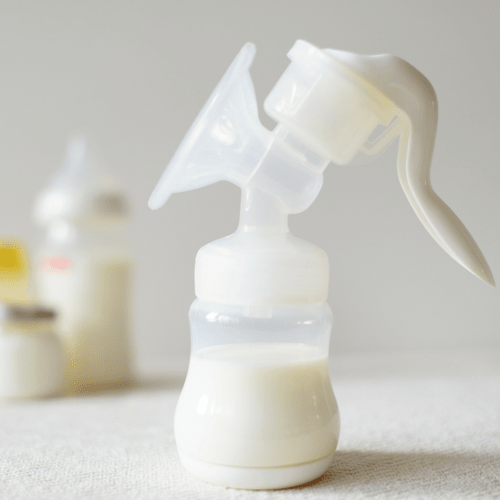 If you haven’t taken a breastfeeding course yet I highly recommend this one; it’s an amazing resource that can teach you all about breastfeeding and how milk production works with tons of tips to help you understand and maintain your milk supply. The lactation cookies along with teas did help me increase my milk supply but not in a way that I hoped. My milk production at each pumping session was noticeably more (thank goodness) by 2-6 ounces and I was happy with the increase but I was hoping for 8-10 ounces extra. That didn’t happen for me but for other moms it did. Our bodies are different and you may experience more or less of a boost in your milk supply than I did. Breastfeeding is undeniably a great way to nourish babies and it’s natural! Neither of these factors makes it easy. Breastfeeding takes practice and determination. If cookies can help, I’m all in! I hope this information helps you choose the right lactation recipe or product to increase your milk production. Did you use lactation cookies to boost your milk supply? If so, I’d love to know what brand or homemade recipe work for you. Share in the comments below. Great article Tiffany! From one pumping mama to another, sourcing all of the different ingredients (and not knowing the quality of each) is the reason that we made Milk Shakers – one blend of all of the most commonly used ingredients (brewers yeast? check. flax meal? check. chia meal? check fenugreek? if you want! ), ready to be baked with or stirred into anything. We’d love to send you a sample of one of our three blends to try if you’d like!